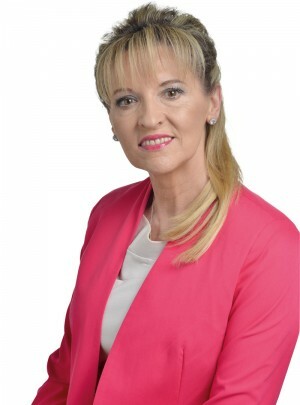 Martina Anderson has been a member of the European Parliament since May 2012 and was the party’s Group Leader in the Parliament for the last five years. She is the party’s lead spokesperon on Brexit and over the last number of years and has been a key member of the party’s team which has been negotiating with the Irish and British governments and at EU level. She is a member of the Committee on Civil Liberties, Justice and Home Affairs and the Delegation for relations with Palestine. She is from the Bogside area of Derry, and was born in 1962. She has been involved with the Irish republican struggle for over thirty years. Having spent over thirteen years as a political prisoner in prisons in England and Ireland she was released in 1998 under the terms of the Good Friday Agreement and immediately became involved in working in Sinn Féin. She was elected in 2007 as an Assembly member for the Foyle constituency, representing her home city of Derry, at which point she was nominated as one of the first Sinn Féin members of the Policing Board. In 2011 she was made Junior Minister in the office of First Minister & Deputy First Minister, working alongside her party colleague Martin McGuinness. She was part of the party’s political management in the Assembly in Belfast, and then for almost three years she served as the party’s All Ireland Political Co-ordinator promoting, upgrading and mainstreaming the All Ireland agenda. Following the 2006 Ard Fheis (Congress), at which the Sinn Féin President Gerry Adams TD indicated the priority of developing an entirely new relationship with unionism Martina was appointed to the role of Sinn Féin’s Director of Unionist Engagement. This is a task she has pursed with vigour, leading to a number of first public meetings between the party leadership and churches and opinion makers within unionism. If you’d like to contact Martina, please use the details below. Office 07F247, Bât. Altiero Spinelli, European Parliament, 60, Rue Wiertz, B-1047 Brussels.